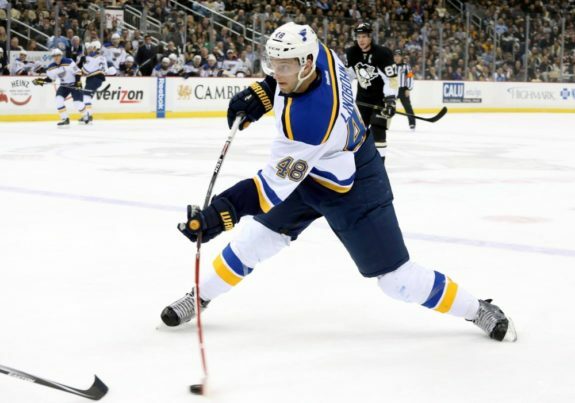 After Thursday’s signing of Joel Edmundson to a one year, $3 million contract, the St. Louis Blues were left with only two restricted free agents in their organization: defensemen Jordan Schmaltz and Petteri Lindbohm. 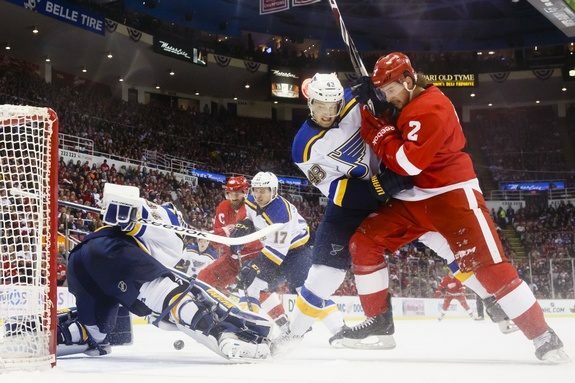 On Friday, it was announced that one of those two would no longer be an option for St. Louis, as Lindbohm had signed on to play with Lausanne HC of the Swiss National League. Lindbohm, who is now 24, entered the Blues’ organization as a sixth-round pick in 2012. The Finnish defenseman played the next three years across several levels of competition in his homeland, primarily with the Jokerit organization. He was never a point producer, but the Blues apparently saw enough in him to give him an opportunity. The Blues called Lindbohm over to the states and sent him to their AHL affiliate at the time, the Chicago Wolves. There, he played in 53 games recording 18 points (6 goals, 12 assists). He impressed Blues officials enough to earn a shot in the NHL in injury relief. All told, Lindbohm played in 23 NHL games that season, collecting three points, two of them goals. He scored his first career NHL goal against the Boston Bruins on Feb. 20, 2015, a game in which he also fought the Bruins’ Jordan Caron. Despite a fairly strong performance that year, Lindbohm did not earn a long-term spot with the Blues. The arrival of Colton Parayko, among other reasons, challenged his position on the roster, and he only played in 10 NHL games in the 2015-16 season. The next season saw even less playing time for him, with Lindbohm only playing seven NHL games. He did not collect another point above the AHL level after his rookie season. Lindbohm hoped to rebound in the 2017-18 season, and he got off to a strong start, playing 23 games with the Wolves. But he suffered an injury to his right shoulder that would end his season. Though the surgery was successful, the severity of the injury was such that he would need to rehabilitate for the rest of the year. The injury left the Blues short on options. Though Lindbohm had shown some promise in his 40 NHL games, the Blues continued to collect defensive prospects. Vince Dunn emerged as a potential star in the 2017-18 season with 24 points in 75 games. Young defensemen with higher draft capital like Jordan Schmaltz and Jake Walman began to demand more playing time. And, looking ahead, the Blues already appear three pairings deep on the blue line if veterans Jay Bouwmeester and Carl Gunnarsson can return to health. Consequently, Lindbohm’s opportunities in the NHL were probably going to be limited. So, as one of the Blues’ two remaining RFAs, Lindbohm realized his position and took an opportunity to advance his career elsewhere. Lindbohm will be playing his next season on the shores of Lake Geneva with Lausanne HC of the Switzerland National League. Though the move could be seen as a significant step down for even a fringe NHL player, Lindbohm no doubt sees it as an opportunity to revitalize his career, as others have done by playing in Europe. In Lausanne, he will join a team that is one of the more popular in the National League by attendance. It also was home to recent Hockey Hall of Fame inductee Martin St. Louis during the lockout-shortened 2004-05 season. Though Lausanne has won no titles, Lindbohm hopes to become a part of their history and help them to their first this season. As for the Blues, they lose the services of the Finnish defender, but retain his NHL rights should he choose to return. With the pipeline of young blue-liners in the Blues’ system, they should be able to cover the hole that Lindbohm leaves behind, but they will have to move on with one less player with NHL experience.